First Round - Steve Flesch at 6-under-par 66 led Sean O'Hair by one and 14 players by three strokes. 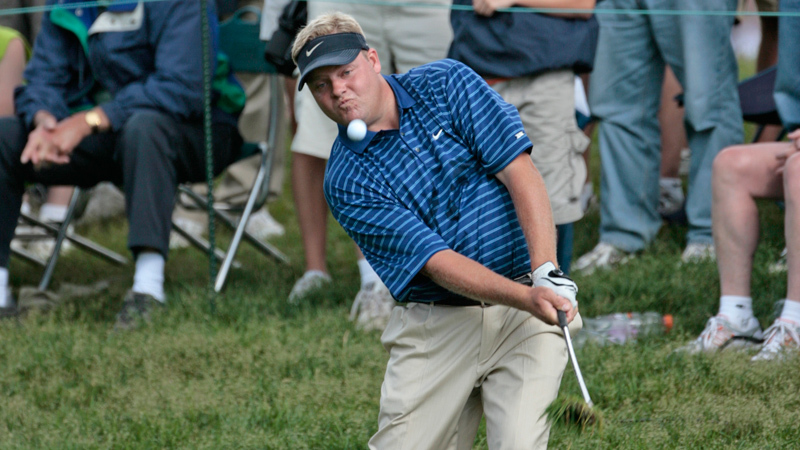 Second Round - Carl Pettersson at 8-under-par 136 led O'Hair and Adam Scott by one stroke. Five players were two strokes back of the lead. Third Round - Pettersson moved to 11-under-par 205 to lead Woody Austin by two and Zach Johnson by three. Phil Mickelson was four-strokes back. Cut Notes: 75 players at 4-over-par 148 from a field of 105 professionals and 1 amateur. Weather: Sunny and warm most of the day on Thursday until play was suspended due to lightning in the area at 5:32 p.m. Play officially ended for the day at 6:35 p.m. Round one was completed at 10:13 a.m. on Friday. The second round began in the rain at 8 a.m. on Friday and was suspended at 10:25 a.m. because of unplayable course conditions due to heavy rain. Play resumed at 4:34 p.m. (6 hour and 9 minute delay) and was suspended by darkness at 8:48 p.m. with 72 players on the course to finish round two. Round two was completed 12:53 p.m. on Saturday and round three began at 1:30 p.m. in sunny and warm conditions. Play was suspended for the day due to lightning in the area at 7:55 p.m. Round three was completed at 7:49 a.m. on Sunday and the final round began in cool and cloudy conditions at 8:20 a.m.
Perry took the lead for good when the wind held Weir’s approach shot on No. 10 short of the green and he bogeyed. With par saves out of the sand at No. 12 and the back rough at No. 14 Perry’s birdie at No. 15 put him three strokes ahead of the field with three holes to play. His only slip on the day came in the form of a bogey at No. 17, but his closest competitors could not close the two-shot gap and Perry’s par on No. 18 sealed the win. The winner’s check of $1,080,000 makes Perry the all-time earnings leader for the Memorial Tournament with $3,091,542.84, moving him past Tiger Woods with $2,763,148.